“Live’s Ed Kowalczyk Plays Laser Tag In The Backyard” Although it’s hard to imagine a guy who radiates intensity onstage playing laser tag in the backyard, Live’s Ed Kowalczyk tells Alex that he’s mellowed out a bit over the years and doesn’t take things as seriously as he used to. That said, Live’s new EP Local 717 is a stunning return to form, filled with the band’s trademark muscle, melody and rock and roll crunch. In this interview Kowalczyk talks about how Live started when everyone in the group was 14, his recent discovery of the Velvet Underground and what plans for a new Live album look like. 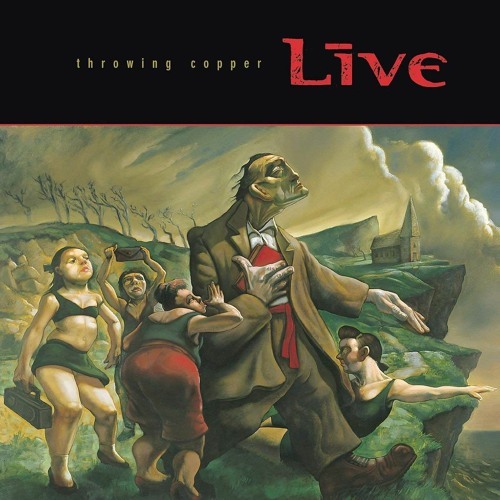 Live are touring with Our Lady Peace and Bush this summer to celebrate the 25th anniversary of the band’s landmark album Throwing Copper. @todd-rairden: So happy you enjoyed it, Todd!! !